Today we think nothing of hopping into a car for a quick trip into Newcastle CBD, but in 19th century Lambton transport to the city was problematic. 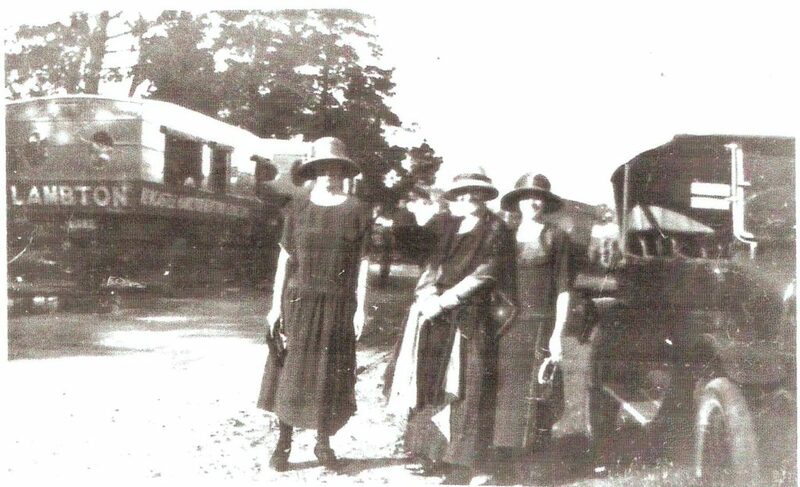 In some mining communities such as Wallsend and Waratah, passenger train services were run on the colliery railways, and although Lambton residents agitated for it as early as 1871, no regular passenger service ever ran on the Lambton colliery line. The only option for passenger transport was the horse drawn omnibus. By 1875 there were at least two buses running between Lambton and Waratah, connecting with the Waratah train. These horse drawn buses were notoriously uncomfortable, described at the time as “ricketty rattletraps”. They were also unreliable and dangerous, with reports of accidents causing injury and even death all too common. In 1887 an alternative to the horse drawn buses arrived with the opening of the tram line, but in 1922 in response to the government’s failure to run more frequent trams, Lambton council retaliated by granting a licence for a motorised omnibus to run between Lambton and Newcastle. Soon there began a period of fierce competition between rival motor buses, with a seemingly inordinate amount of time taken up in Lambton council meetings dealing with licence applications, disputes, and complaints about motor buses. 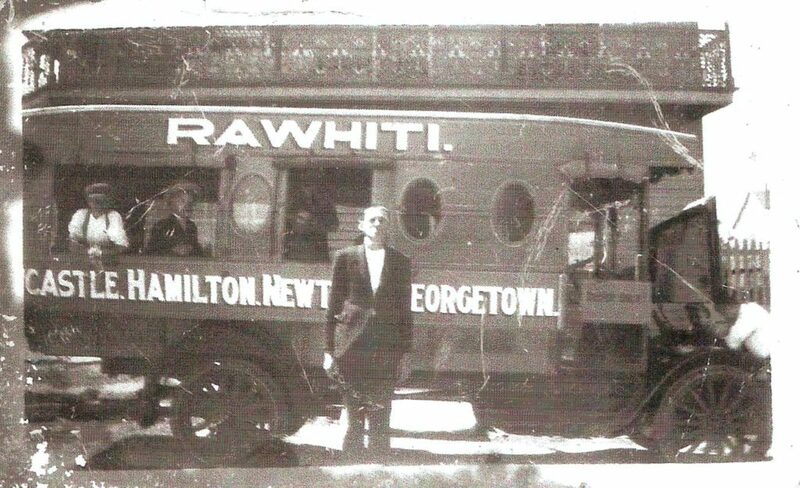 One of the local bus operators was Patrick Brothers, who from 1923 ran the ‘Rawhiti’ between Lambton and Newcastle. The 19.6 horsepower ‘Rawhiti’ was licenced to carry 30 passengers and had eight return services each day. However competition in the fledgling motor bus industry proved too much for the ‘Rawhiti’, for in early 1926 it was advertised at a mortgage sale for £60. In the 1930s the State government took a more active role in coordinating and operating bus services, and eventually the government run services took over from the private bus operators. The motor omnibus ‘Rawhiti’, on Reservoir Hill (corner of Newcastle Rd and George St), 1923-1925. Photo supplied by Jack Kennedy. 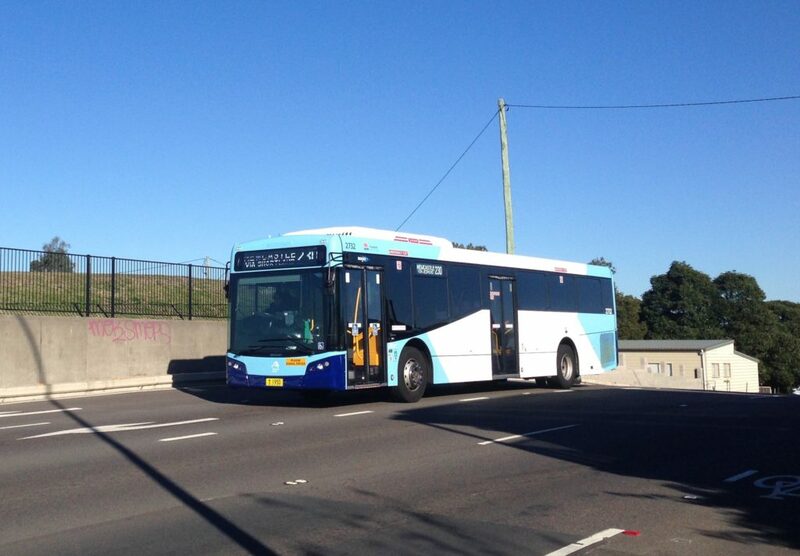 Newcastle Buses Route 230, on the Reservoir Hill in 2016. The article above was first published in the August 2016 edition of the Lambton Local. Jack Kennedy supplied two other photos of the motor omnibus ‘Rawhiti’. The photo below is also taken on the reservoir hill, but from the other side. The ‘bus is seen parked in front of the former “Reservoir Hotel”. 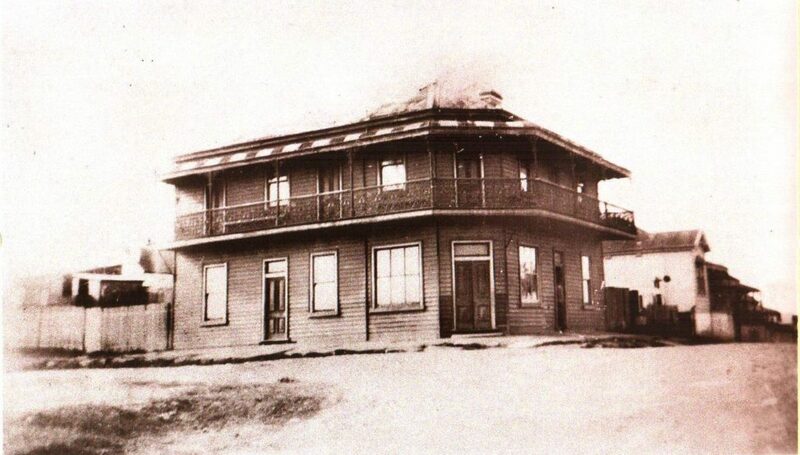 The hotel was licensed as the Reservoir Hotel in 1888, and delicensed in August 1921, by the Licenses Reduction Board. This photo was taken sometime in the period 1923-1925. Note the suburbs the bus serviced was painted on the side and front of the bus – Newcastle, Hamilton, Newtown, Georgetown, Lambton. Newtown was the original name of Hamilton North. The motor omnibus ‘Rawhiti’ parked in front of the former “Reservoir Hotel”. The former “Reservoir Hotel”, Newcastle Road, Lambton. The ‘Rawhiti’ at an unidentified location. 5 Dec 1871 "A public meeting of the inhabitants of Lambton, was held in Mr. Stoker's long room, on Tuesday, the 5th, having been called, by public advertisement, for the purpose of adopting a petition to the Hon. James Byrnes, the Minister for Works, to establish a goods and passenger traffic on the Lambton Colliery railway." 14 Mar 1874 Mr. Tudor, of Hamilton, has purchased a new omnibus, which he intends running between the mining townships and the city. 5 May 1874 Thomas Tudor, the omnibus operator asked to give support to the selection of the southern route (through New Lambton) for the Wallsend to Newcastle main road. 18 Jun 1874 Agitation for running a passenger train service on the Lambton colliery railway. 2 Oct 1875 Mr Tudor has obtained a new omnibus to "supersede such hideous rattletraps as those which formerly disgraced Newcastle." 2 Oct 1875 Mr Tudor's new 'bus "was built by the celebrated builder, Mr. Bannet, of Camperdown, and cost £150." 17 Nov 1875 There are two rival bus services (Brown, Elliottt) in fierce competition, running between Waratah station and Lambton. 16 Aug 1879 There is an omnibus service between Wallsend and Lambton. 17 Mar 1885 Complaints about the operation of the omnibuses, including a complaint about how those "ricketty rattletraps" are wearing out the roads. 29 Dec 1892 "A lad named Simpson, a son of John. Francis. Simpson, of Adamstown, died this morning from the effects of a fall from an omnibus on the previous evening." 28 May 1921 The Reservoir Hotel delicensed by the Licenses Reduction Board. 31 May 1922 In response to the government’s failure to run more frequent trams, Lambton council retaliates by granting a licence for a motorised omnibus to run between Lambton and Newcastle. 12 Jan 1923 "ON AND AFTER Monday, January 15th an UP-TO-DATE MOTOR 'BUS SERVICE will be run from LAMBTON, along CHRISTOE-ROAD, thence via NEWTOWN to NEWCASTLE, and VICE VERSA." 11 Jul 1923 Patrick Bros., proprietors of the motor 'bus Rawhltl, asked the counccil for permission to alter their timetable and route temporarily during repairs to Dixon-street. 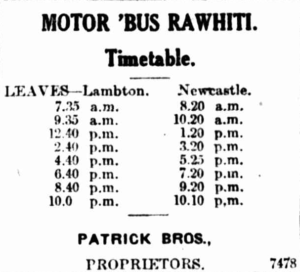 17 Jul 1923 A timetable for the “Rawhiti” motor 'bus. 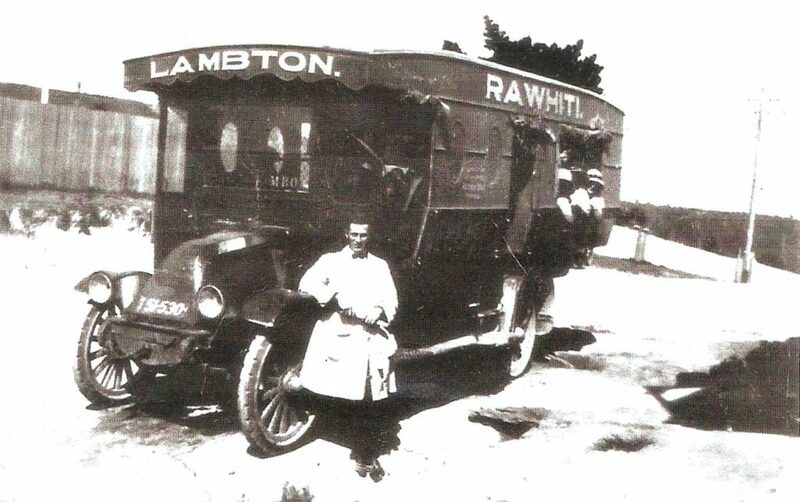 14 Nov 1923 "Lambton Council last night granted permission to the owner of the motor 'bus Rawhiti to run an additional vehicle, with an hourly service between Lambton and Newcastle, via Georgetown." 28 Nov 1923 Rivalry between the "Hawk" and "Endeavour" motor buses, on the Lambton to Newcastle route. 30 Sep 1925 The suburb of Newtown changes its name to "North Hamilton". 16 Dec 1925 MOTOR 'BUS, "RAWHITI," for sale. 19.6 horsepower, licensed to carry 30 passengers, recently running on the Newcastle to George town run. 20 Jan 1926 In an application to council for a motor omnibus licence, mention is made of buses using Reservoir Hill as a departure point. 1 Mar 1926 INTERNATIONAL- 'BUS CHASSIS. "RAWHITI." A mortgage sale will sell this for £60. 6 Nov 1931 "The Government intends to make all transport a State monopoly. When Parliament reassembles, on November 24, Mr. Lang will bring in legislation to wipe out the Railway Commissioners, the Main Roads Board, and the Metropolitan and Newcastle Transport Trusts, and substitute one corporate body, under the control of a Minister of the Crown."